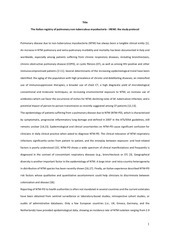 This PDF 1.5 document has been generated by Microsoft® PowerPoint® 2013, and has been sent on pdf-archive.com on 25/05/2017 at 18:32, from IP address 45.127.x.x. The current document download page has been viewed 145 times. File size: 1.9 MB (59 pages). Two major types of IBD. mucosa characterized by relapses and remissions. gastro intestinal tract of unknown etiology. and lower in Asian and African countries. •Jewish suffer more especially in Ashkenazi Jews. prevalence than lower socioeconomic classes. • UC is more common in non smokers and ex smoker. • In CD - -most patients are smokers (relative risk = 3). • Oral contraceptives are also linked to CD. •Appendectomy appears to be protective against UC. •Associated with low residue and high refined sugar diet. • More common in Ashkenazi Jews. 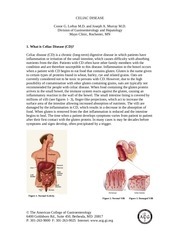 • 10% have 1st degree relative or close relative with IBD. • HLADR103 is associated with severe UC. • Other regions of linkage on chromosome 12,6,14 (IBD 2-4). This file has been shared by a user of PDF Archive. Document ID: 00602447.